Oh Mr. Finn! This little man came in for his newborn photography Akron session at just 7 days new and let me tell you, he is so laid back! 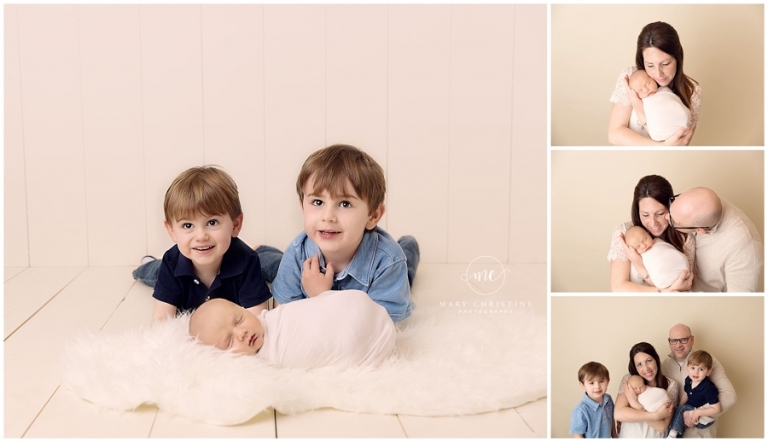 I have had the honor of photographing his older brothers and when I get to meet their newest addition, it is really special! I love watching families and children grow, the changes are absolutely incredible! Since every session is custom, it is fun to create special sets for clients. Finn’s momma loves the color green and with spring starting to bloom, this set was a more boyish spin on spring. This bonnet by Sarah’s Stitches was a perfect final touch. Oh these boys! So busy but they were so good for their session. <3 And check out Finn’s smile….I think he likes that wagon! Just a side note, images like this one are usually done as a composite (two images put together in Photoshop) for baby’s safety. 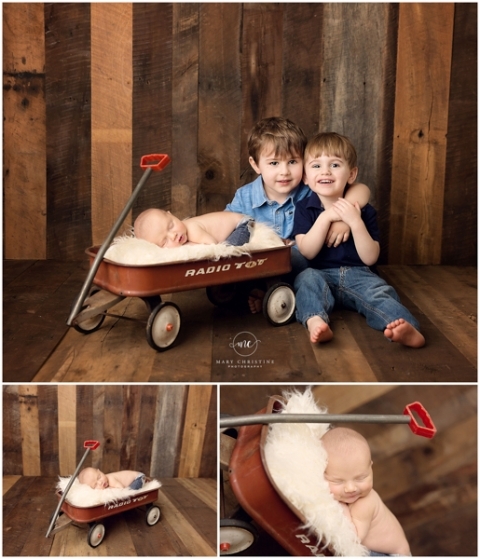 As good as these boys are, I would never leave a baby in a prop with wheels next to a toddler. Such a sweet family! And aren’t they adorable? I sure think so! Thank you so much for stopping by the blog! To see more recent work and some behind the scenes, please check out the Instagram page. 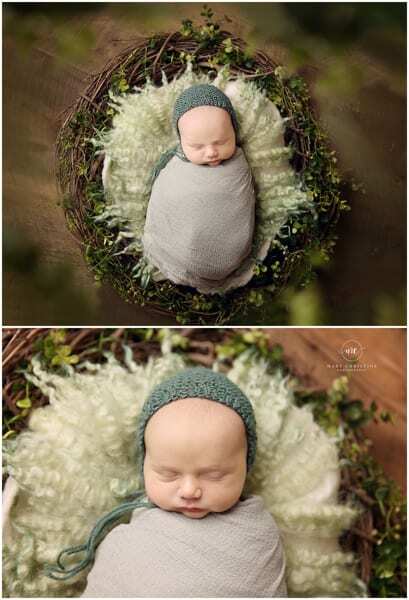 If you are interested in newborn session information, the portfolio, or the pricing guide, please head on over to those pages to learn more. Newborn sessions are best done between 6-14 days new for sleeping baby images. If issues arise in the first week and we are unable to do the session in that time frame, we can certainly do later! It’s just less likely for your little one to be as sleepy. Looking for newborn photography in Akron? You can contact Mary at mary@marychristinephotography.com or call 330-241-0424.